Pegasus Estate Wines are award winning wines! KFI – Broadcasting live from Sierra Madre. 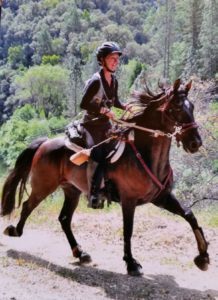 At first, Lora Wereb says there are no words to describe her first-time experience as a participant in the 100-mile, 24-hour horseback ride in Northern California on July 23-24. Then she bubbles “breathtaking,” “scary” “fun” and “awesome” as she relives the thrilling fete she accomplished with her beloved horse, Merlin. Neither was expected to finish the demanding Tevis Cup Endurance Ride, which is the popular name for the Western States Trail Ride, from Lake Tahoe to Auburn. It is considered one of the most challenging endurance rides in the world. In fact, Ms. Wereb, 36, a terminal cancer survivor, and Merlin, an 18-year-old semi-abandoned hard-luck horse, were discouraged from trying the event that even seasoned equestrians never consider entering. “Fifty percent of those who enter the Tevis Cup don’t finish. I’ve been told that Merlin will never make it. I’m hoping to prove them wrong. My main goal is to finish. If I can do that, I can show that Merlin is not a Craigslist reject. He’s not a broken-down pony,” said Ms. Wereb in a News-Press article that appeared in the Life Section several days before the ride began. Merlin, a Tennessee Walking Horse, certainly didn’t look like a “broken-down pony” last Monday as he relaxed in a picturesque enclosure with a white fence and green lawn at the Pegasus Estate Winery and Equestrian Center in Solvang, where Ms. Wereb lives on the 10-acre property. Peggy and Michael Crowley Sr., who are co-owners, sponsored the duo, one of the 89 who completed the grueling competition out of 165. They started at 5:15 a.m. July 23 at Robie Equestrian Park between Lake Tahoe and Truckee. “The week before, Merlin and I spent time with a friend who lived in Cool, Calif., which is near the end of the race at Auburn. I wanted Merlin to become acclimated, and we took one practice ride in the dark on the trail,” recalled Ms. Wereb, well-rested as she sat in the shade of a guest cottage porch at the winery. “When the race started, there were two groups – the first 60 were the fastest, and I was with everyone else. It was dark and dusty and crowded. Riders started out fast,” she said. After an uneventful 13-mile ride to Squaw Valley, the team faced its first challenge at Emigrant Pass, a 2,550-foot vertical climb that took them 8,774 feet above sea level. “Merlin took it seriously. He lowered his head and went to work, but I had altitude sickness. I was nauseous. I felt better after drinking some water and having a little snack. After we dropped down, Merlin went super fast to charge after another horse. It was a wild ride and not pleasant. He was in charge of the trail, not me,” said Ms. Wereb. During the mandatory one-hour rest stop at Robinson Flat Campground, which was 36 miles into the ride at 11:20 a.m., Ms. Wereb united with three members of her seven-person crew: friends Sarah Pereverziev, Merlin’s original owner who bought him on Craigslist for $200; Kelly Johnson; and Ashley Salter. “They brought fresh food and clothes for me and fresh treats for Merlin,” said Ms. Wereb, who began the ride wearing a gift from the Crowleys, a white T-shirt with the words “Lora and Merlin, Pegasus Estate Winery, Tevis 2016” and the winery’s logo, with her black yoga pants and sneakers. She also dyed her hair turquoise for the ride. In the previous News-Press article, Ms. Wereb explained that after her breast cancer diagnosis and chemotherapy left her bald, she decided to dye her hair different colors when it grew back. “For three years, it’s been wild colors – green, purple, pink – lavender and turquoise are my two favorites … When people ask why, I tell them I lost my hair, and I need color in my life,” said Ms. Wereb in the article. At the beginning of what she called the middle section of the ride, where horse and rider had to cross three canyons, the team suffered a major trauma when they came to the American River. “Merlin slipped on a rock, and when he fell, so did I into chest-high water. It was super scary, a rookie mistake that could have ended the ride. Merlin got free in a boulder area, and I waded across and walked him out. He had cuts on his legs from the rocks, and he was shaking, but we walked across a bridge and up the canyon,” said Ms. Wereb. “After the second canyon, there was another vet check at mile 50, the half-way mark, and I was really worried that we wouldn’t make it, but the volunteers took over. They babied Merlin, sponged him off and massaged him. It was like a spa day for him. They brought back our confidence. They said, ‘Don’t give up. Keep moving and take care of each other.’ If not for them, I never would have finished,” she said. All the pampering paid off for Merlin, who seemed to get “a second wind” as he lowered his head, plugged uphill and began passing horses. More good news was waiting at Michigan Bluff where Ms. Wereb’s boyfriend, Bryan Snyder, was waiting with carrots for Merlin and ice cream for Ms. Wereb. The next stop was Foresthill, the 68-mile mark, which she reached at 8 p.m. “I just made the cut-off, which was 8:15. If I hadn’t made it by then, I would have been disqualified,” said Ms. Wereb, who was joined at the one-hour mandatory rest stop by three more crew members. “Bryan was also there. He made me a special grilled cheese sandwich for dinner. I got to take a shower. I felt like a million bucks,” said Ms. Wereb. For the night-time ride, she chose not to use a head lamp or flashlight, instead attaching three glow sticks – two green and one yellow – to Merlin’s breast collar. “He looked like an alien spaceship,” she said with a laugh. Because of the practice night-time rides Ms. Wereb had with Merlin a month before the Tevis Ride, she was calm after the sun went down. Unfortunately, it wasn’t the case for a large group of the riders who were “freaking out, yelling, going too fast and shining their flashlights all over. “Merlin was getting all worked up, so I hopped off and we hid in the dark to get rid of the other riders. Then we took off by ourselves for most of the night and did fine until three girls came riding up fast with their flashlights shining everywhere. Merlin tripped, and I flew over his head. I wasn’t hurt, but Merlin stood his ground. He wouldn’t let them pass,” said Ms. Wereb. Christmas lights greeted them at Francisco’s, a staging area along the trail at the 85-mile mark, where she was greeted by volunteers who were surprised to hear her singing the theme song from the TV show “Bonanza” as she rode in for the 1 a.m. vet check, which Merlin passed with flying colors. “It was an absolutely beautiful ride – moonlit night, trail in good shape, crickets chirping and frogs croaking. “In fact, the night-time part was the favorite part of my ride,” said Ms. Wereb. The last part of the trail, from Lower Quarry to the finish at Auburn, was a delight. Proudly showing off the buckle and its impressive leather belt, Ms. Wereb said, “I’d like to do this again without falling in the river, and if Merlin is strong enough, there is no reason we can’t do it. On a bit of a whim at literally the very last minute as Mike was ready to jet off to Europe for a whirlwind business trip he coaxed me into entering the annual “Hidden Gems of California” Wine Competition. We knew that the response to our first coveted vintage was getting rave reviews and fans, but a real Wine Competition…real judges??? The heat was on. And so it was…on a Chamber of Commerce picture postcard perfect afternoon I delivered our cases of wine and watched as the judges immediately pulled out a bottle and put it into a brown paper bag which covered the bottle all the way up to the top. Uh oh…what were we really getting ourselves into? Mike was going through the motions at LAX as I nervously set up shop on the other side of the table at our first wine competition. “Well, it’s all in good fun and it’s a fundraiser” I told myself to calm the jitters. People started milling into the glorious outdoor setting in the exquisite enclave of “Happy Canyon” or “Billionaire’s Row” as I like to refer to it. What a day, sweet and perfect, innocent I thought. As the event wore on the caterpillar I started out feeling like initially began a slow and surreal transformation into a butterfly! But to what end? My pouring neighbor, a friend and highly recognized winemaker said, “Now don’t get your expectations too high being that it’s your first wine competition and all. I just don’t want you to expect too much. If you’re lucky you may get an Honorable Mention.” He hadn’t tried the wine yet! The applause was a deafening and I was off the charts with joy! The wine was a huge success in every way…loved by the judges and the guests alike! What more could anyone ask for; hope for; ever in their wildest imagination dream of?!! At periods throughout the day I tried to update Mike as his flight was delayed time and time again and he languished at LAX for hours…oh how he would have loved to have been there at the event. I could not give him any definitive news other than the general buzz before he left the ground and when it was finally official that we had won I called his cell but his flight had just taken off! I left him a descriptive message of our amazing accomplishments and when he landed we shared our joy and enthusiasm continents away together over the phone! Please read the brief article here and thank you for your patronage and support! The fifth annual “Hidden Gems” wine tasting and competition among home winemakers and small “boutique” professional wineries raised $15,000 for People Helping People programs to benefit families and children, according to Jordan Granet, PHP development associate. 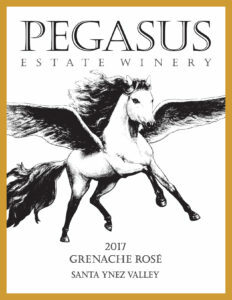 The winners of the competition were Pegasus Estate cabernet sauvignon, first place red wine AND best in show; Quail Crossing pinot grigio, people’s choice; Mike Gordon cocobaccio, second place red wine; Allan Hancock pinot noir and Tim Gorham cabernet sauvignon, tied for third place red wine; and Fontes and Phillips, Panky Rosé, honorable mention. This was the first entry for Pegasus Estate in the Hidden Gems competition and owner Peggy Crowley was surprised and delighted to be the overall winner for the day. Quail Crossing, owned by Linda and Vince Gomez and Tim Gorham, was also a first-time entrant. Mike Gordon, Hancock, and Fontes and Phillips are all repeat winners. Granet said the fiercely contested wine competition was judged by Michael Cervin, News-Press food columnist; David Michael Cane, local wine critic and radio personality; and Charles T. Williams, director di vino at Wandering Dog Wine Bar in Solvang. Appetizers at the event in Happy Canyon were furnished by New West Catering and Forno Classico. Live music was provided by Peter Feldmann and The Very Lonesome Boys, and Jim Farnum served as emcee and auctioneer. People Helping People (PHP) is a nonprofit organization that helps disadvantaged families and individuals in the Santa Ynez and Los Alamos Valleys. 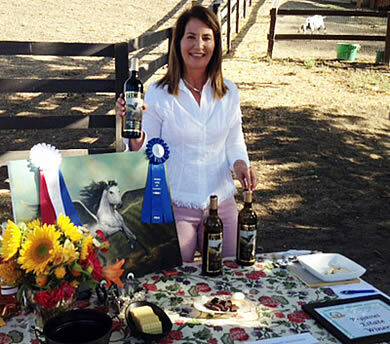 The Quail H Ranch in Happy Canyon of Santa Ynez, CA will be the new site for the 5th Annual Hidden Gems of California event. 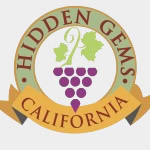 Hidden Gems features a wine tasting and judging of home wine makers’ wines and those of small “boutique” professional winemakers. These hard to find wine gems either that cannot be found elsewhere or are in limited distribution. 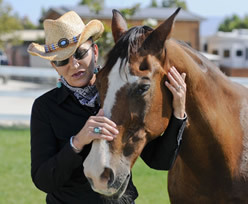 As Peg Crowley gently pets Scout’s face, the Quarter horse appears to nuzzle her in return, perhaps in gratitude for the life he’s come to live. Crowley rescued Scout three years ago after discovering the then 36-year-old horse, painfully thin and in failing health, being worked on a ranch in Santa Maria. Rarely do horses live beyond 30, but rarely do horses have a retirement home as grand as they do with Crowley and her husband, Mike Crowley, on their property in Solvang. Peg Crowley grew up in Southern California, in the shadows of the Santa Anita Race Track, loving horses for as long as she can remember. “I did not come from wealth or money. I was passionate about horses, though, and I remember my father taking me to a stable and lifting me up so I could pet them,” she said. She went on to a successful career in sales, traveling the country for a variety of companies, and always, when time permitted, stopping in Napa and Sonoma Counties, Paso Robles and Santa Ynez, exploring the premium wines being produced in those regions. Mike was born and raised in the horse capital of the country, Lexington, Kentucky, where he spent many hours in the company of the equine world’s top athletes. His career in pharmaceutical sales had him living in Europe for a number of years, and he often found himself vacationing in the Bordeaux region of France, home to the world’s most legendary Carbernet Sauvignon wines. Decades later, when these two horse and wine lovers married, they dreamed of a life that would incorporate both of those passions. They found it in 2007 when they bought 10 acres in the Santa Ynez Valley. For now it’s a second home for the couple. They own a biotech company in Oceanside, live in nearby Carlsbad, and have partnerships in racehorses at Del Mar. “I’m up here about 50 percent of the time. For Mike it’s more like 25 percent,” she said. “We bought the property with the intent of planting a vineyard, and it started going in almost from the first day,” Peggy Crowley recalled. “It was our goal to have single lot, very high end cabernet. We want to use only our own sourced grapes which means we can only bottle about 430-450 cases a year.” Locally, it’s available at El Rancho Market. So intent was the couple on producing only the very best product, they contracted with pioneering winemaker Ken Brown to be the winemaker for Pegasus. Their first vintage, 2010 released in 2012, won several awards. They donated the entire release to charity. “We believe in giving back,” Crowley said. The Crowley vineyard is surrounded by 400 rose bushes, 100 fruit and nut trees, and 5,000 honeysuckle vines, all of which they planted to create a park-like environment. Horse trails run by either side. “There are trails people had used here for years, and we were not going to shut them off.” she said. The wisdom and generosity that went into that decision also stands behind the name of their winery and the artwork on its label: a white winged horse. The winged horse Pegasus is one of the best-known figures in Greek mythology and is often used to symbolize wisdom. 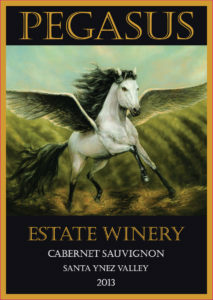 For the Pegasus Estate Winery label, he’s appropriately seen flying over a vineyard.